Shu was Just the Beginning! Coatsink are also Bringing Sublevel Zero Redux to Switch this Year as Well! Good news Switch enthusiasts, determined to not have Shu be Coatsink’s only game on the Nintendo Switch, today they have revealed they will also bring Sigtrap’s Sublevel Zero Redux, over to the platform later on this year. Coatsink and Sigtrap and excited to announce Sublevel Zero Redux will release on the Nintendo eShop later this year across all regions priced at $19.99, €19.99, £17.99 ¥2199 with a 10% launch discount. Sublevel Zero Redux is a roguelite six-degree-of-freedom shooter set in a universe where reality is falling apart. With your gunship, fight in zero-g through a vast, procedurally generated underground facility to recover the technology you need to escape the many dangers hidden around every corner. Gyroscope controls – Get the edge over the enemy with increased precision using the toggleable Aim or Aim & Look gyroscopic control schemes. 6-DOF Action – Your gunship is free to fly and rotate in all directions. You can attack from any angle, and so can your enemies. Inspired by classics such as Descent and Forsaken, Sublevel Zero’s retro gravity-defying combat is driven by modern looting and crafting. Procedural Permadeath – No lives. No saves. Fight your way through a different procedurally generated environment every time. Make every shot, every decision count. A wide range of environments stand in your way, from industrial zones to mining caverns. Think on your feet and adapt to each one’s hazards before it’s too late. Crafting – Collect a wide range of randomly-generated weapons, upgrades and game-changing items. Craft them together to equip your gunship for your play style. Unlock more items and blueprints as you play and keep those unlocks across playthroughs. 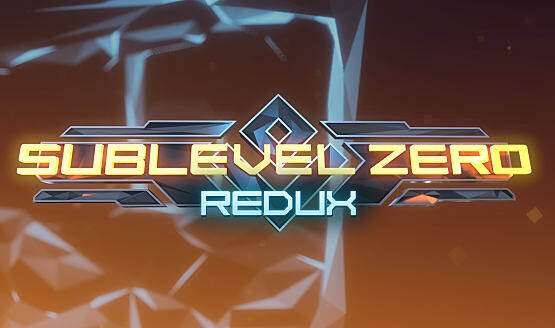 A release date for SubLevel Zero Redux on Nintendo Switch™ has not yet been set and will be announced at a later date.